Hey Friends! 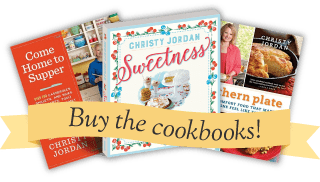 Today is the last recipe in my big Red, White, and Blue themed recipe week. 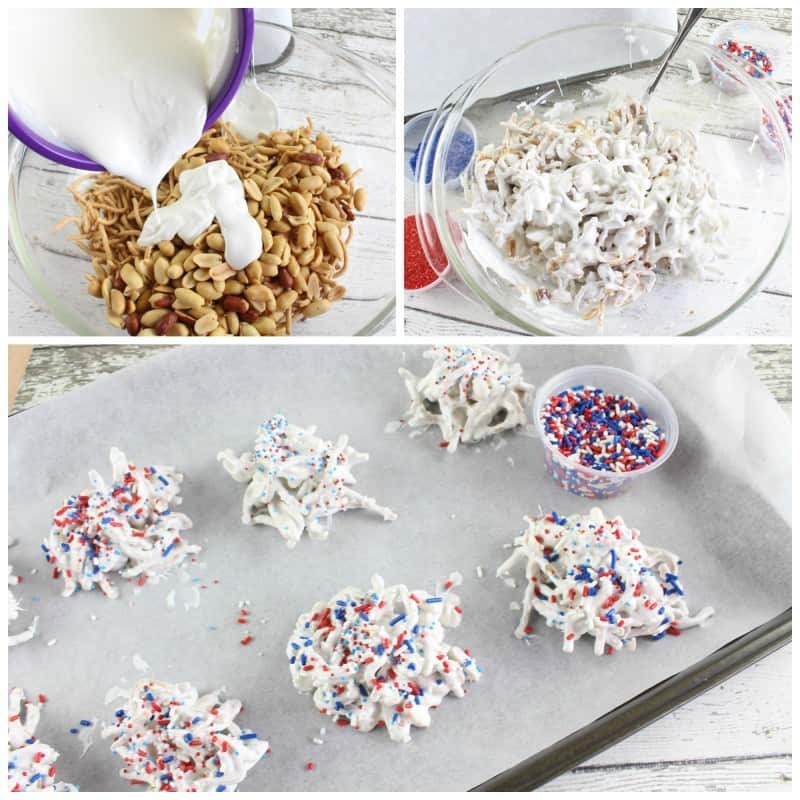 You are going to love the ease of these Old Glory Haystacks! Not only are they quick, easy and festive but they also don’t heat up your house or keep you in the kitchen for hours. 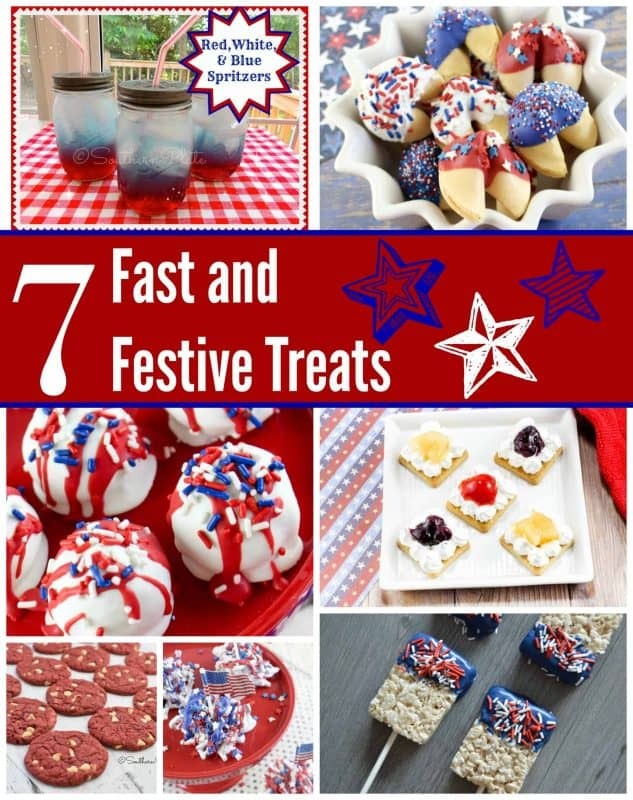 Be sure and check out more great recipes for your Independence Day celebration at the bottom of this post and if you’d like to see all of my 7 Fast and Festive Recipes for your Fourth Celebration, click here. 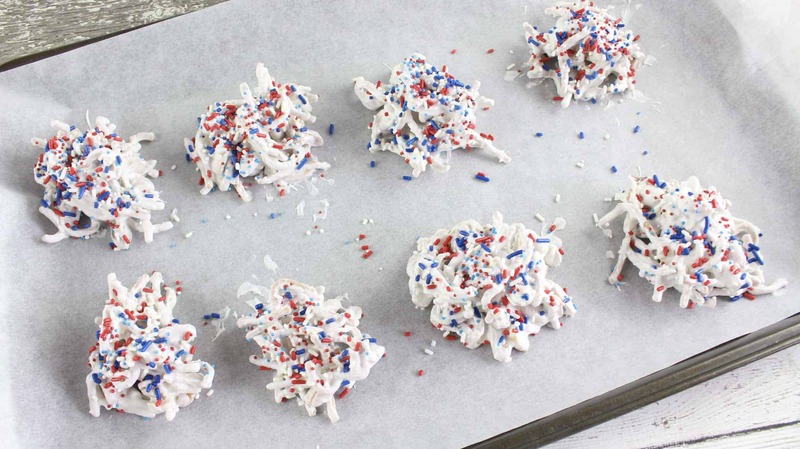 To make these you’ll need: Chow Mein Noodles, White Candy Melts or White Almond Bark, and Patriotic Sprinkles. That’s it. Those three things will get you all you need. Place Chow Mein Noodles and peanuts (if using peanuts) in a bowl. Melt white candy melts or almond bark by placing in a bowl and microwaving it at 45 second intervals, stirring after each, until smooth and creamy. Pour over noodles in a bowl and stir well to coat. Immediately spoon out spoonfuls of haystacks onto a waxed paper or parchment lined baking sheet. Sprinkles patriotic sprinkles while still warm. 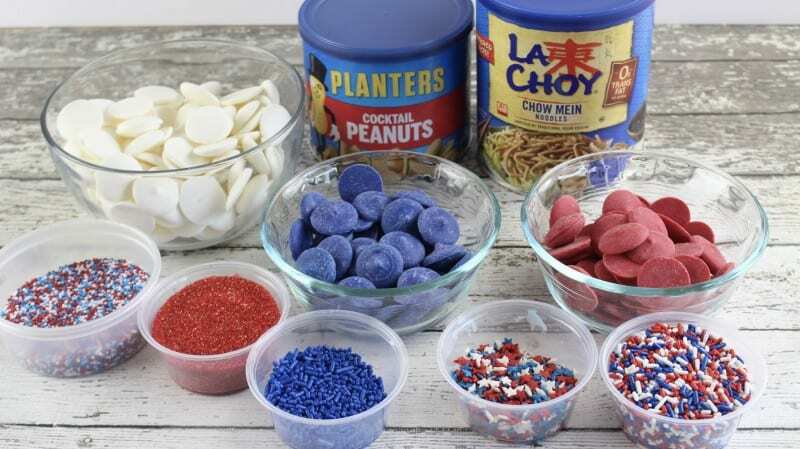 If you’d like, you can melt some blue or red candy coating and do a light drizzle on each one. Serve as is or with a cute little American Flag cupcake topper! Line a large cookie sheet with wax or parchment paper. Set aside. Add the chow mein noodles and cocktail peanuts (if using) to a large mixing bowl. Gently toss to mix and set aside. Place candy melts in a large microwave safe bowl. Heat at 45 second intervals, stirring after each, until smooth and creamy. Pour the melted white chocolate on top of the peanuts and chow mein noodles and stir until completely coated. 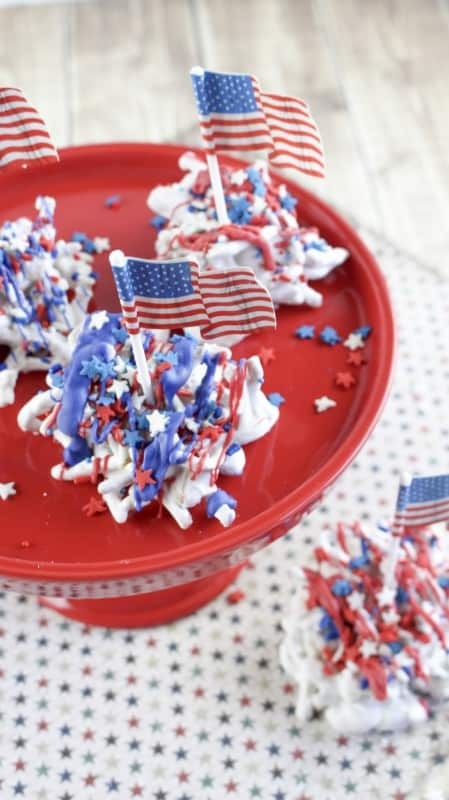 Drop by spoonfuls onto waxed paper lined baking sheet and immediately top with patriotic sprinkles. Chill for 20 minutes to allow the chocolate to harden. Optional: In a small microwave bowl, microwave the red or blue candy melts for 45 seconds. Stir until melted. Drizzle the melted red chocolate on top of half of the haystacks. 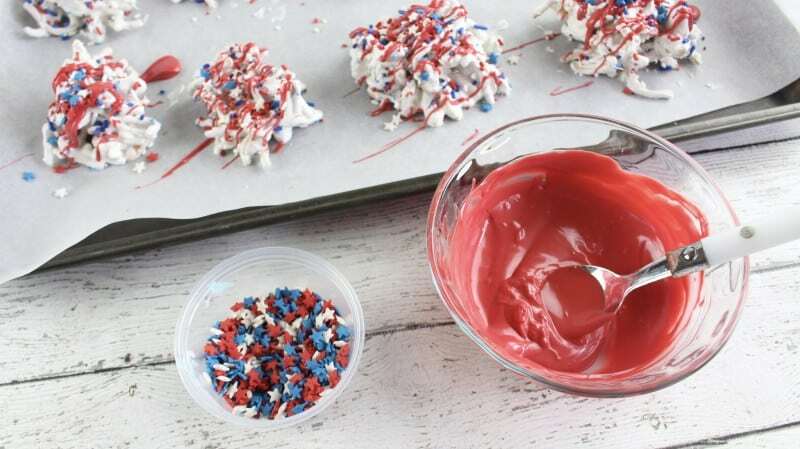 Sprinkle with red white and blue star-shaped sprinkles. 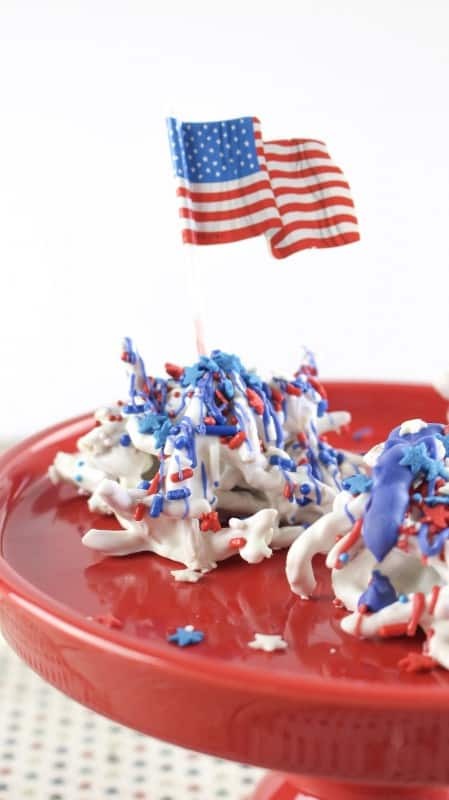 Also Optional - before serving, place a cupcake flag topper into each haystack. You can store the haystacks in a single layer in an airtight container for up to 2 weeks. Christy, thank you so much for your heartfelt, honest posts, as well as your wonderful recipes! <3 I have a question about Wilton candy melts…we simply cannot make them work :/ What are we doing wrong? Thank you in advance! Hmm, what is happening exactly? My first thought is that moisture in the candy melts causes them to clot and seize up. If you explain what is going on I can be of more help but if it is that, it may just be really humid in your area. Also, if you stir them with a spoon with even a drop of water or if there is a single drop of water in the bowl, that will cause serious issues.